Lyrica (pregabalin) appears to make changes to brain structure and gray-matter volume in people with fibromyalgia, according to a small, preliminary study published in a 2016 issue of Arthritis and Rheumatology. Lyrica was the first drug to become FDA-approved for this condition. It's actually an anti-seizure medication, but it's also been found to work against the specific pains of fibromyalgia, diabetic neuropathy, and post-surgical pain. A few other drugs in this class, including Neurontin (gabapentin), are used to treat fibromyalgia as well. However, scientists don't yet understand exactly how these drugs work to combat certain types pain. This new research, if it can be replicated, may at last help explain it. In this small study, 16 women who were diagnosed with fibromyalgia went through two trial periods of a randomized, double-blind, placebo-controlled study. Researchers examined their brains with functional magnetic resonance imaging (fMRI) before treatment began and after each trial period. The gray matter of your brain is the mass of neurons that send and receive electrical signals. Our gray-matter volume naturally diminishes as we age. According to a few studies, that volume appears to diminish more rapidly in those with fibromyalgia than it does in healthy people. At the same time, some research has shown that particular areas are larger in fibromyalgia brains than in others. An array of fibromyalgia studies have also shown abnormal activity levels in the areas of the brain that process pain signals, as well as abnormal connectivity between different regions, that demonstrate the severity (and the very real nature) of fibromyalgia pain. 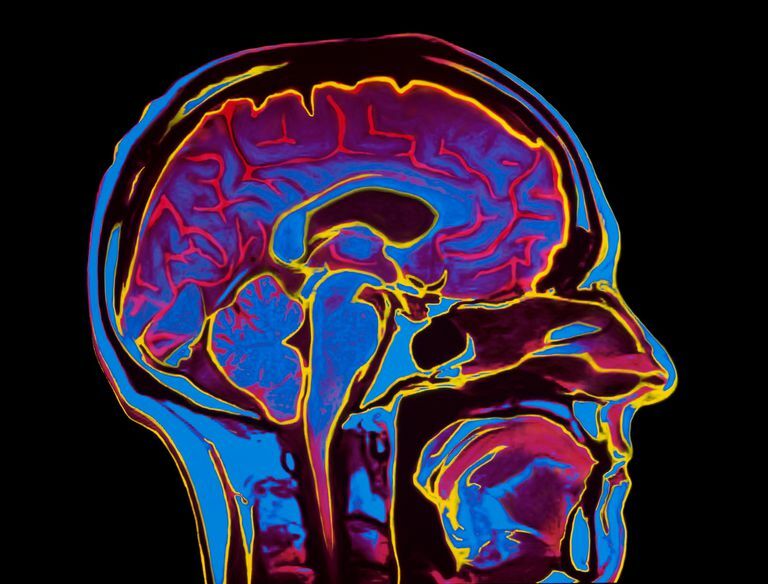 Researchers believed this to be the first ever study looking at changes in gray-matter volume and pain-evoked connectivity in people being treated with Lyrica. Reduced gray-matter volume in an area believed to be important to pain processing: the posterior insula. The insula is an important region, as it also deals with emotion, homeostasis, and many other necessary functions. Reduced gray-matter volume in the medial frontal gyrus in the participants who reported less pain. This area is linked to higher functions such as decision making. A reduction in connectivity between multiple regions while the researchers caused pain in the participants by using pressure.. This finding also was associated with reports of reduced post-treatment pain. Researchers concluded that short-term Lyrica treatment reduces pain by, at least in part, rapidly changing brain structure and connectivity during pain. This study also gives us a better understanding of where "problem" areas may be in the fibromyalgia brain so that future treatments can target them. I took Lyrica for a couple of months about a year after I was diagnosed with fibromyalgia. I have to say, these study results are fascinating to me because of something that happened after my first dose. About two hours after taking the first pill, I swear I felt a physical sensation like something was moving across the front of my brain. It was the strangest thing! Before I felt it, I was in a fair amount of pain, physically sluggish, and mentally dull. After the odd sensation, I had very little pain and felt awake for the first time in forever. That night, I had what felt like the best sleep of my life, and I woke up refreshed. Refreshed! That's definitely not normal for me. I even took a walk after breakfast. It seemed like a miracle. Sadly, I wasn't able to tolerate Lyrica. Severe side effects kicked in and I had to wean off of it after several weeks. However, I can't help but wonder whether I felt the changes the researchers saw, or at least something similar to them. When talking about treatments, always remember that we each have our own unique responses to them and that my experience may be nothing like yours. Don't assume that you'll have the same successes or failures as someone else. Studies like this, while small, help researchers understand more of what's going on in this mysterious condition. They may not lead to immediate changes in treatment, but they add to the body of knowledge that will eventually bring new drugs and other interventions that can help us live better. Puiu T, et al. Arthritis and rheumatology. 2016 Jan 27. Alterations in gray matter volume are associated with reduced evoked-pain connectivity following acute pregabalin administration.